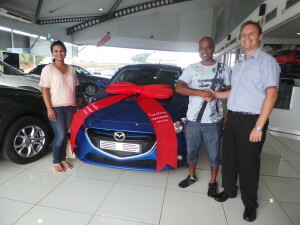 Congratulations to Allayne on the purchase of his Mazda 3 dynamic. We at CMH Umhlanga wish you many happy miles of enjoyable motoring. Thank you for your loyal support! 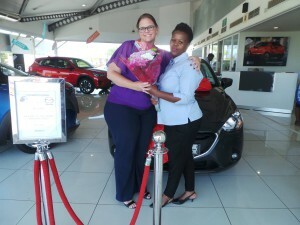 Congratulations to Mrs Govender on the purchase of her Mazda 3. We at CMH Umhlanga wish you many happy miles of enjoyable motoring. Thank you for your loyal support! 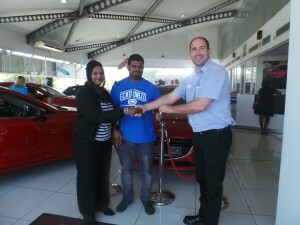 Congratulations to MR. REEVEN NAIDOO on the purchase of his MAZDA 2 INDIVIDUAL . We at CMH Umhlanga wish you many happy miles of enjoyable motoring. Thank you for your loyal support! 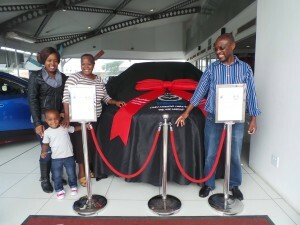 Congratulations to Mr and Mrs Mbona on the purchase of their Mazda CX-3. We at CMH Umhlanga wish you many happy miles of enjoyable motoring. Thank you for your loyal support! 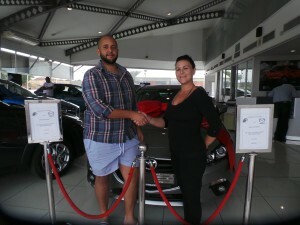 Congratulations to Tracy Crowther i on the purchase of her Mazda 2. We at CMH Umhlanga wish you many happy miles of enjoyable motoring. Thank you for your loyal support!